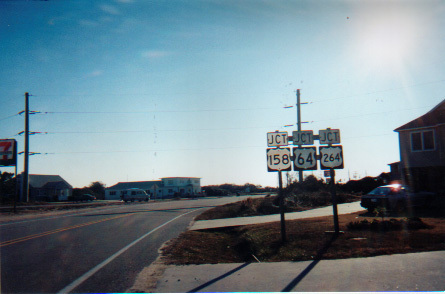 These three photos show what used to be US 264's eastern terminus on the Outer Banks, at the same intersection where US 64 and US 158. 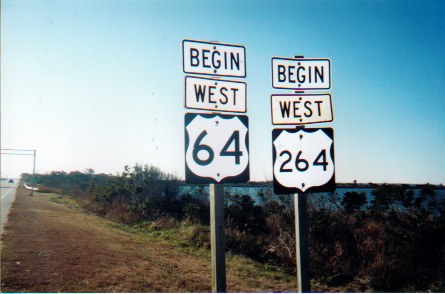 After the Manteo bridge was built for US 64, US 264 was truncated west to where it first departs US 64 near Manns Harbor. 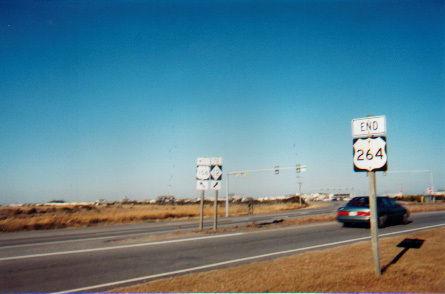 It's interesting to note that, prior to this truncation, US 264 was duplexed with US 64 at both of its termini. Photos by Adam Prince.